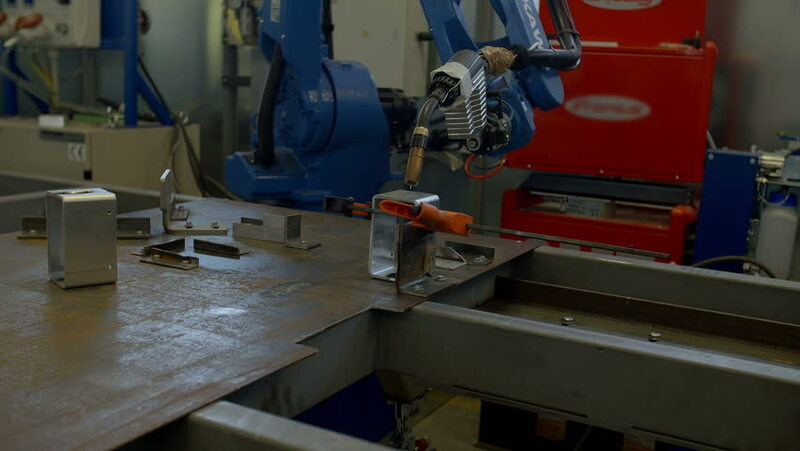 There is a robotic welding going on in the factory. We can see a lot of sparks flying everywhere around. Wide-angle shot. 4k00:17The fish factory on the trawler. Sorting of fish. hd00:20Worker on a machine, cutting iron.